Obviously, even a good driving under the influence defense lawyer can’t force a client into counseling, rehabilitation, or job training, but your attorney can connect clients to the right resources in the community. In the end, an experienced DUI defense attorney can protect your legal rights, defend you aggressively against your DUI charge, and give you sound advice. Your attorney may not solve all of your problems, but the alternatives to having good legal help – alternatives like pleading guilty or representing yourself – really are not acceptable. That’s because California law treats DUI as a serious crime, and the consequences of a conviction can be devastating. 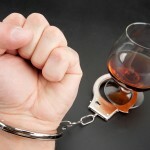 If you face a DUI charge in southern California, now or in the future, it’s critical to have quality legal representation from an experienced Orange County driving under the influence defense attorney who will answer your questions, offer sound counsel, defend you aggressively, and work for the best possible resolution to your driving under the influence case. Your freedom is too important to risk. 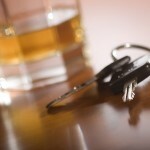 If you’re facing the charge, contact an experienced DUI defense attorney at once.